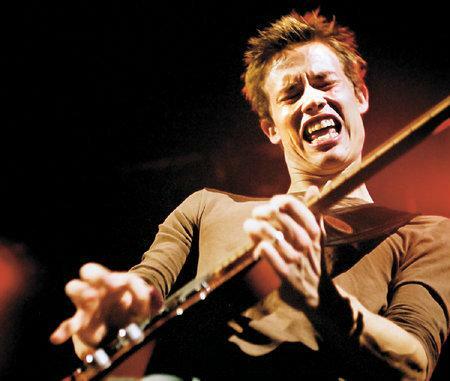 Grammy winner Jonny Lang is touring in support of his latest, Fight for My Soul, which hit Billboard’s rock, blues, and Christian charts. Years ago, blues guitarist Walter Trout (who recently came back from the near-dead) saw the handwriting on the wall. “Every town I go to has got its own teenaged guitar slinger these days,” he complained while backstage at a Street Scene one year. At the time, Jonny Lang was proof. Lang didn’t even have a driver’s license when he vaulted way past Trout in domestic album sales following the release of his debut record, Lie to Me. That Lang was singing about things no 16-year-old could possibly have experienced, or even fully understood, mattered not. Lang lacked an older man’s depth on guitar and vocals, but there was an audience for his boy blues. That said, Lang was all about technique and menacing amplifier howls and string bends back in the day. It was all he had. Unlike Mr. Trout, a veteran of a version of John Mayall’s Bluesbreakers, Lang lacked the one thing: he had no stories of his own to tell. What Lang did have was Justin Bieber-ish magnetism and a box full of rocking blues licks. Trout, even though losing ground to youth, was a monster, a virtual avalanche of blues guitar phrases that spoke of truer feelings. Tuesday, November 3, 2015, 8 p.m.
Jonny Lang today is worth a second look. As a child wonder, he seemed giddy to be onstage, and his ear-to-ear grinning was more distracting than a full hour of John Mayer’s gaseous guitar-guy faces. We used to go to Lang because he was so good at so young an age, a curiosity. We go now because he’s so heated up. Lang, from Fargo, North Dakota, is 32. He’s married, started a family, and has logged more road miles than anyone twice his age could expect of a career. And like Keith Richards, Lang has improved with age. Life has caught up with the boy wonder. Finally, he’s got something to say.